The End of the Canadian Wheat Board: What's at Stake? In its campaign against the Canadian Wheat Board's single desk system, the Conservative government has invoked the language of "choice," framing its intentions in terms of expanding farmers' options for marketing their produce. State intervention that forcibly undermines the CWB will accomplish exactly the opposite. This summer, Canadian grain farmers have more on their minds than just the coming harvest. 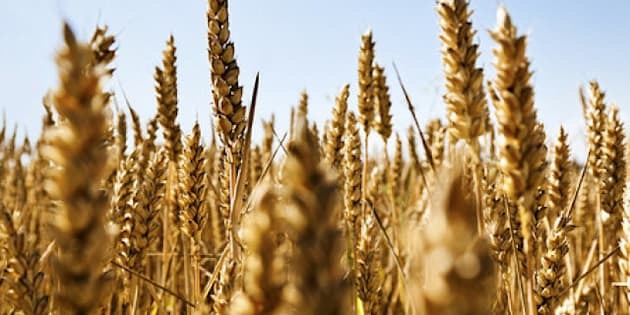 Shortly after achieving a majority in the recent federal election, the Conservative government announced plans to act on its long-standing plan to end the Canadian Wheat Board's (CWB) monopoly on the marketing of spring wheat, durum and barley. The complexities of grain marketing are not something that typically captures the attention of urban Canadians. Nevertheless, if the government proceeds as planned, the outcome could mean more than just the dismantling of the CWB and a fundamental reorganization of the grain system in Canada. The contemporary CWB was established in 1935 to guarantee wheat pool payments to prairie farmers during the Depression. In 1942, the single desk system was established, whereby farmers were mandated to market their crops through the CWB as a means of managing the grain supply during wartime. Following the war, the single desk monopoly was retained to increase the market power of Canadian producers on the volatile world market. The CWB is collectively controlled and funded by the farmers on whose behalf it negotiates sales and to whom its proceeds are returned. The CWB also plays a key role in coordinating orderly transportation of farmers' grain to market. Since 1998, the CWB has been governed by a 15-member board of directors, 10 of whom are directly accountable to the Prairie farmers who elect them. The single desk is always an issue in board elections. Farmers have consistently elected boards whose majorities support retaining the single desk. This leads one to wonder whose interests might be served by dismantling the CWB. Beyond ideology, the desire to eliminate the single desk has been partly driven by a minority of very large, and very vocal, producers whose size makes them confident they could fare better marketing their grain on their own. These large players are also well-positioned to negotiate favourable terms with the handful of private conglomerates that now dominate grain-handling on the prairies. Not surprisingly, these large grain companies also oppose the single desk and the CWB. Giants such as Viterra, Inc. and James Richardson International stand to gain significantly from the demise of the CWB and the leverage it affords to producers. As Andrew Paterson, CEO of Paterson Global Foods said recently, "We've been preparing for this for five years." It has also been widely-reported that massive U.S. agribusiness conglomerate Bunge Ltd. has announced plans to make a major play in the newly open Canadian grain market. With the end of the mandatory single desk, responsibility for grain marketing will shift from a collective organization over which farmers have democratic control to a "competitive" system dominated by a few transnational conglomerates over which they have none. Absent the security and competitive advantage provided by the CWB, the ultimate demise of small-scale grain farming in Canada becomes increasingly likely. Once this happens, the economic and social infrastructures of grain-dependent rural communities could atrophy beyond repair, and an entire way of life will have been legislated out of existence. This will not register on the world grain markets nor, sadly, will it be noticed in most of urban Canada. Still, the potential demise of the CWB suggests that those of us who live in cities have good reason to pay attention to what is happening in the countryside. Something to do with the character of Canadian democratic life might be at stake. In its campaign against the single desk, the Conservative government has routinely invoked the language of "choice," framing its intentions in terms of expanding farmers' options for marketing their produce. State intervention that forcibly undermines the CWB will accomplish exactly the opposite. The government disingenuously suggests that the CWB could continue to market grain for farmers who choose its services in a competitive environment. As CWB Chair Allen Oberg has pointed out, lacking grain-handling infrastructure of its own, and without adequate assets to build or acquire it, the CWB would be beholden for storage and transportation to the very companies with which it is supposed to compete. Under these conditions, absent regulated access to facilities, a voluntary single desk marketing agency would be impossible to sustain. Thus, the end of the CWB will remove from farmers the very choice that a majority of them are most likely to make, as confirmed in repeated surveys and board elections: to market their grain collectively, through a single desk that is directly accountable to them, rather than to distant shareholders. Electoral success in the west has led the Conservative government to claim a democratic mandate to enact this radical transformation of economic and social life on the prairies. The CWB is currently asking producers themselves to vote on whether they prefer to sell their wheat and barley through an open market, or to continue with the mandatory single desk. It is widely expected that a majority of farmers will once again choose the latter option. Perhaps this explains why Agriculture Minister Gerry Ritz has declared in advance that the results of the CWB's democratic plebiscite are irrelevant to the government's plans. This alone should provoke the concern of city-dwellers. In light of what is happening to the Canadian Wheat Board and the communities it serves, we might ask ourselves: which essential institution of Canadian public life will be next and what, if anything, will we be able to do about it when the time comes? Darin Barney is Canada Research Chair in Technology & Citizenship and Associate Professor of Communication Studies at McGill University. His present research, funded by the Social Sciences and Humanities Research Council of Canada, investigates the social impact of technological change in the grain economy on the Canadian prairies.